The launch of Big T Woodworks - My first day on Etsy was a success! Just before midnight on the 13th, I opened my Etsy store, Big T Woodworks. Of course, I want to do more than just combs, but this has been a great way to get the ball rolling. My photographer friend helped tremendously with his quality work here. So far the only thing I’ve had on there has been combs, but that will be expanding soon. How did the first day go, you ask? With the exception of three remaining beard combs, in less than 24 hours after opening, I am SOLD OUT. The big sellers. All cherry. 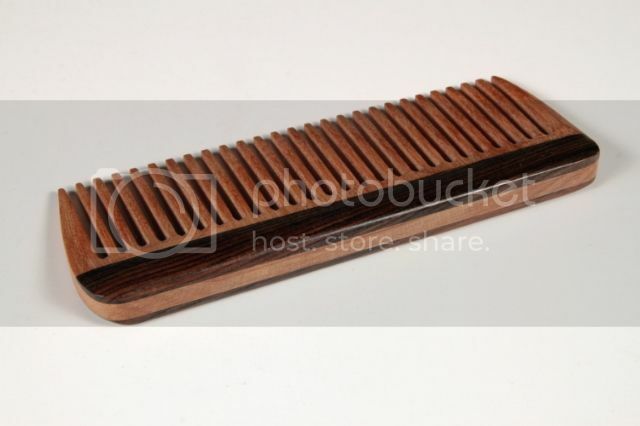 I had four of these with rosewood grips and two with maple. All sold. 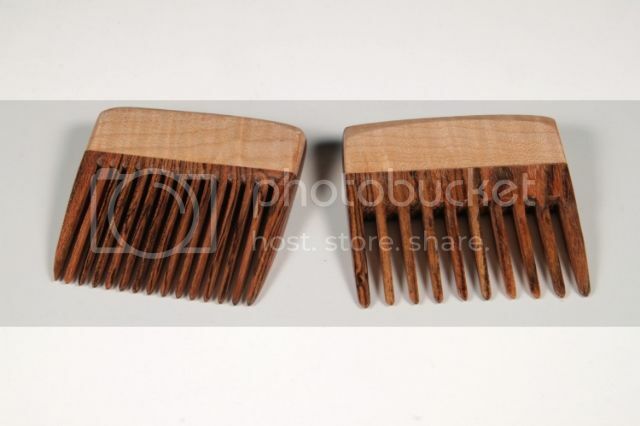 I only have three of the wide tooth beard combs left. Time to make some more stock, and pronto! 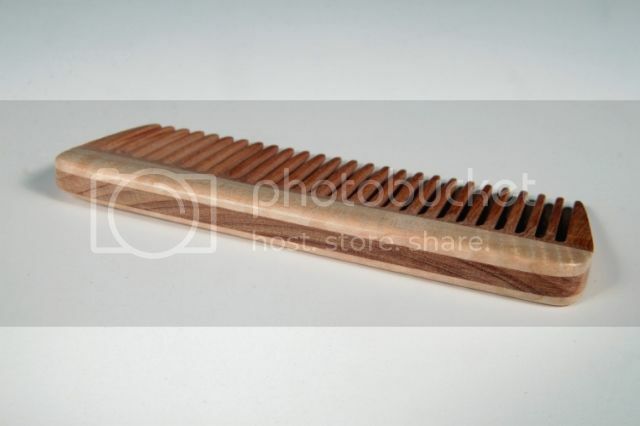 This fine tooth beard comb is also sold. I’m blown away by how well I did. I honestly figured that I’d have to ask friends on Facebook to pass it around, and after a few weeks I might get a bite. But I wasn’t even hoping or entirely prepared for the response I got! There have orders all over the US, with a dozen or so people begging me to ship international as well. That’s awesome man, congrats!!! Did you do a good amount of promotion before the launch or was it all through search? I posted about it on Reddit (where it was very well received, and got me a few sales), but Etsy’s stats page shows that about half the traffic came from Etsy itself. So a lot of it was people searching for that sort of thing to begin with, apparently! Congrats, Brian. 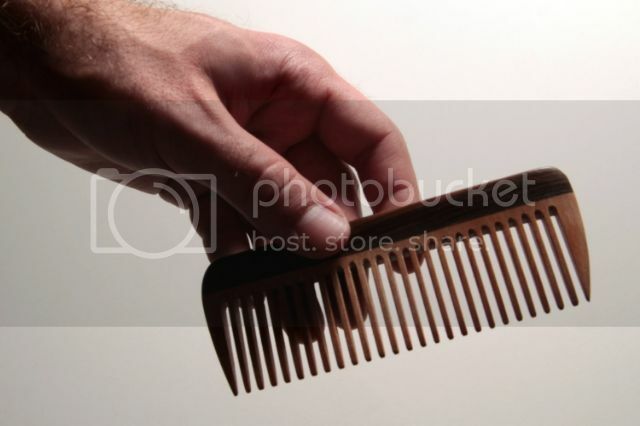 Did you ever figure out a good way to brand/logo the combs? Thanks, Jay. I tried a number of different ideas but decided they looked best plain, actually. Anything that was able to leave a mark just seemed to ugly it up. Once I get into larger pieces like furniture, I’ll definitely be leaving a mark in an inconspicuous spot. Awesome news! 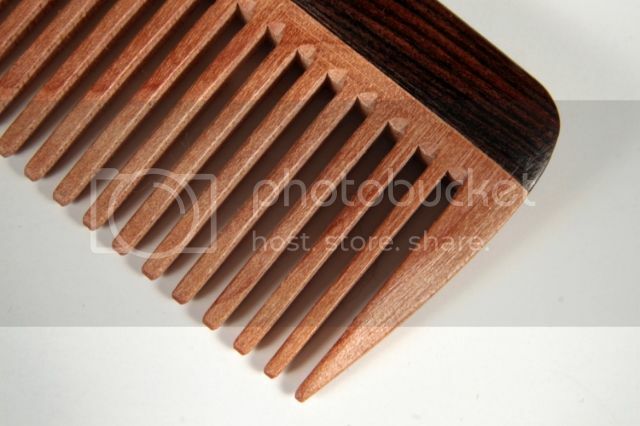 The combs are beautiful, great wood selection, and perfect execution. You came up with a product that fits a need, and desire. It sounds like you found a void, that others have missed. Congratulations. Good photography is an added enhancement. Keep that guy around. Got it. Wasn’t sure if you decided not to do them or if the logo just wasn’t shown in the pics. I was thinking the intertwined BT logo you have would look really cool on the side of the spine in one of the corners. It might not show up well on rosewood, however. Congratulations on your success, now you can make money at what you enjoy doing – woodworking. I hope all the demand & pressures of fulfilling orders doesn’t make your woodworking into a daily chore which you grow to dislike. Not to be a downer – but I’m speaking from a personal point of view, past employment has me leery of deadlines, etc. Hope this all works out for you, great job, Congratulations!!!! That’s fantastic Brian! It just shows that quality sells. I hope it continues to work out for you. Congratulations! Your sellout does not surprise me at all Brian. 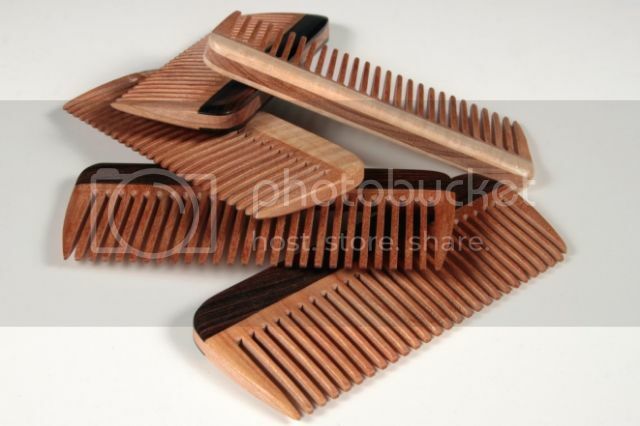 Wooden combs, especially nice ones like yours should be very popular with the ladies since they don’t generate static electricity which makes combing more difficult like plastic does. I think you have a wonderful product that should continue to sell very well. Congratulations! 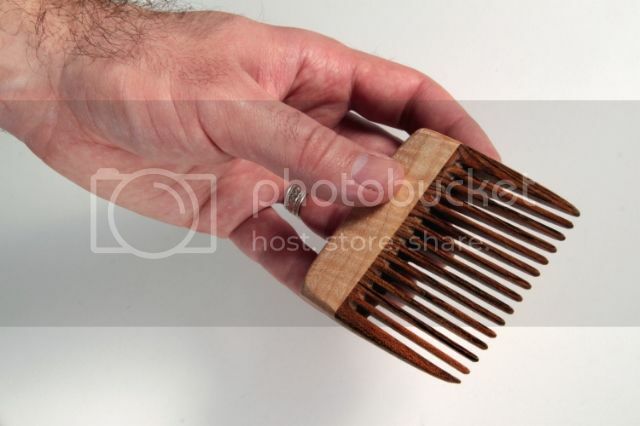 I would suggest you concentrate on combs for now and improve your production methods instead of trying to make a lot of different products which will cause you to be constantly re-setting up your tools and having to stock a lot of different sizes of lumber, etc. I hope you don’t mind my unasked for advice. I wish you success! Mike, that sounds like solid advice. I’ll take wisdom wherever I can find it. Thanks! Congratulations, Brian! Keep us posted on how you’re doing! I think mikes got it nailed. Keep churnin those out until they stop sellin. Then move on to the next hot seller and sell the hell outta those. Good luck with your venture. That’s fantastic! It’s a really good feeling to know that you are handcrafting a product that obviously fills a need for people. Keep crankin’ em out. Are you on Twitter btw? I’ll try to spread the good word there for you, maybe get a few sales out of it.